Melissa Michael's blog has been a favorite of mine since I first starting blogging a few years ago. 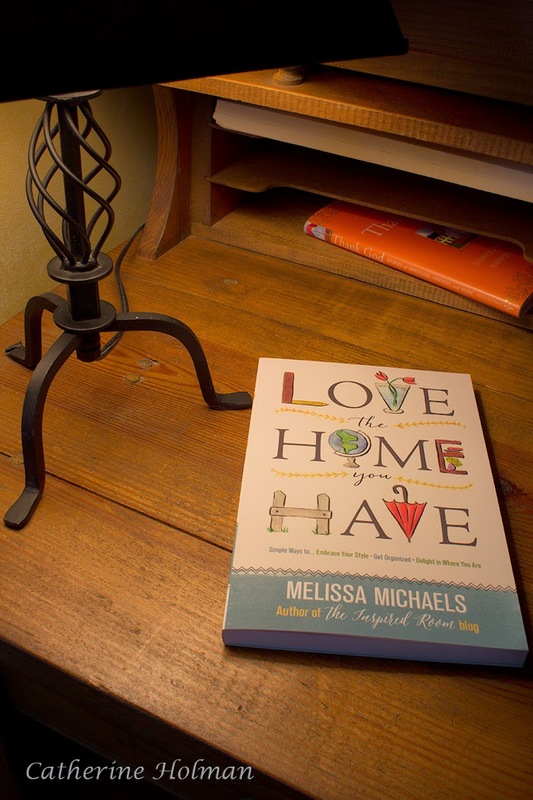 I was so excited to receive my copy of her new book in the mail this morning, "Love the Home You Have". 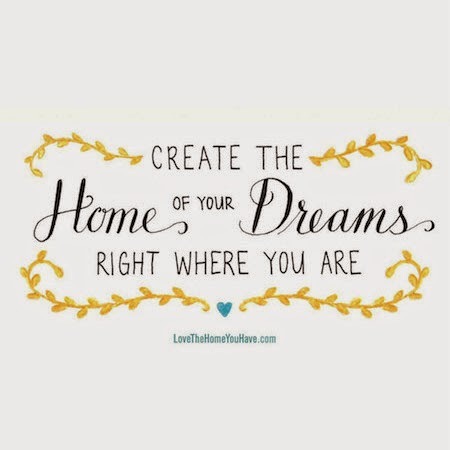 If you're feeling your home is less than "Pinterest Worthy" or have the tendency to be envious and maybe even a little jealous of how bloggers decorate their homes, this is probably the book for you. Melissa has asked us to share our favorite corner in our home on her Home Love Stories website and I decided to share it here too. 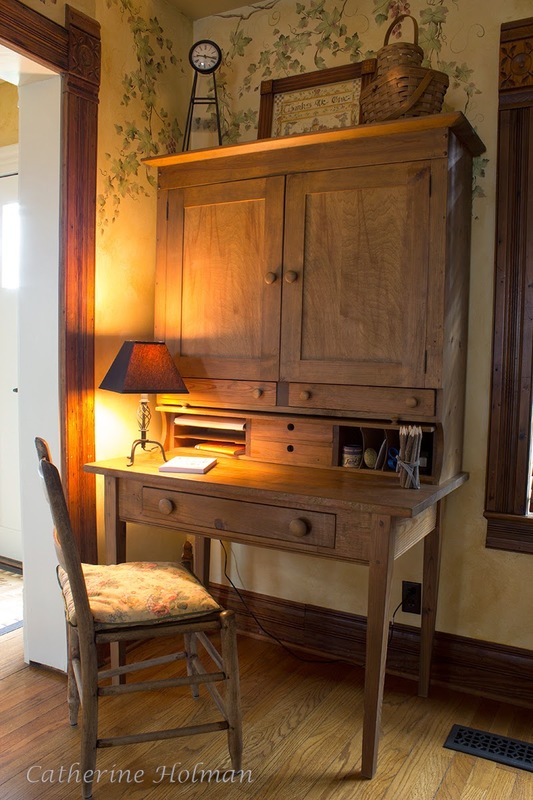 I seriously need to paint the walls in this room again, but try your best to ignore the walls and focus in on this rustic desk that my sweet sister, Patti, passed on to me when she sold her house. This piece was handmade by a friend of hers. 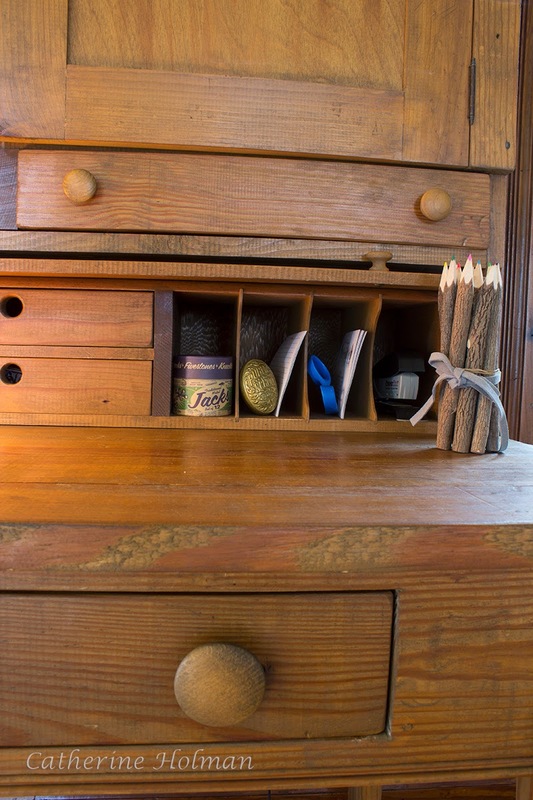 I adore all the little cubby holes and drawers and this makes the perfect spot for me to fill and ship all my print orders from my Etsy Store. Another reason I love this corner of my home so much is that it reminds me how blessed I am and thankful for each customer that chooses to hang my artwork in their home. The little wooden chair came from Grandma's farm and that makes this space doubly blessed by these two special ladies in my life! 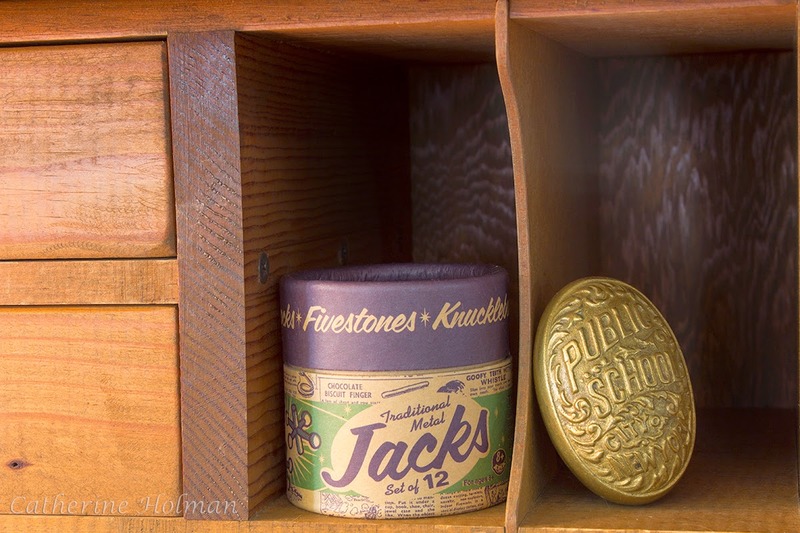 These little cubbies are the perfect spot for special items like the set of Jacks my sister gave me for Christmas one year. We are still kids at heart! I found the brass "Public Schools of New York" doorknob years ago and it fits here perfectly. Before Christmas, I found this bundle of twig colored pencils at T.J. Maxx and they've found a home on the corner of my desk. Do you have a favorite corner in your home? If not, gather some special pieces with memories and create one! Oh that is a cozy, wonderful corner of your home. That desk is very special indeed. What a great place to fulfill your orders and keep your treasures. I'd not dare to share my favorite corner at Melissa's new site, but I sure will be going to take a look.